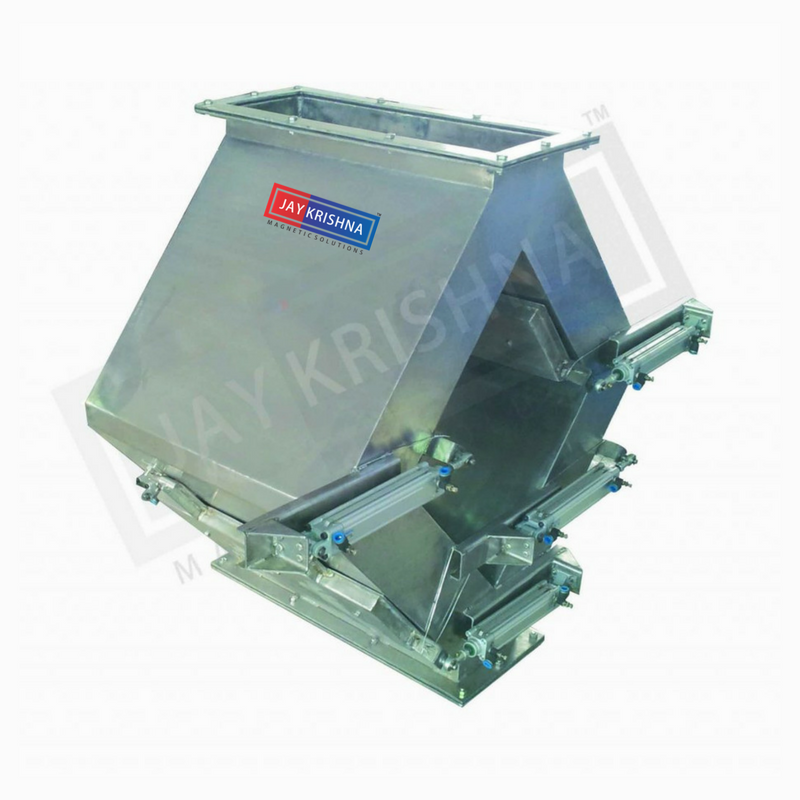 Jaykrishna Magnetics has developed Auto Cleaning Hump Magnet (auto cleaning diamond shape magnet) which is having the feature of auto cleaning which can be incorporated with your PLC and became a self-cleaning device. 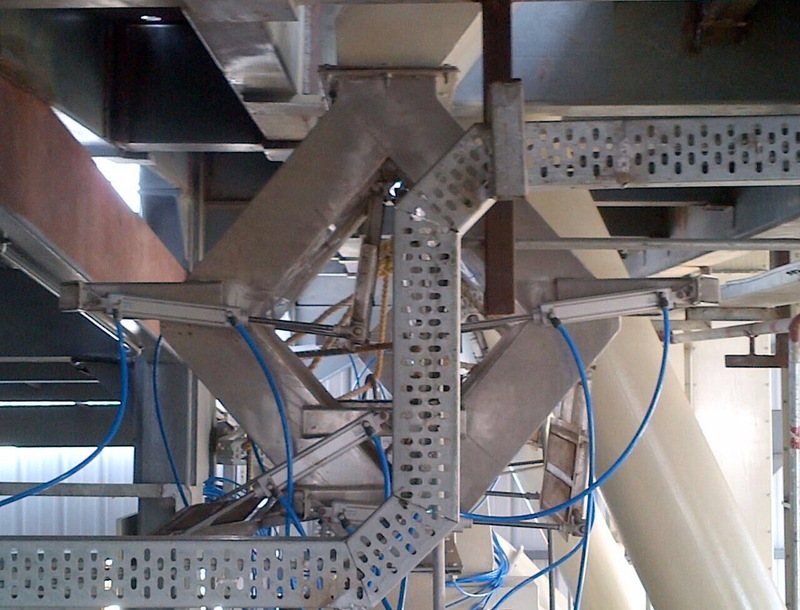 Pneumatically operated auto cleaning hump magnet is suitable for a continuously operated plant like cattle feed plant, food processing plant, chemical plants, crushing plants, etc. 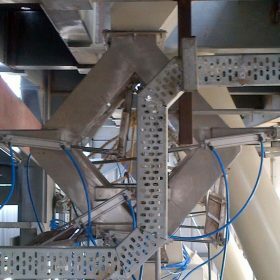 One separation unit from plate magnet. Special industrial and food/dairy grades are available.